3 Biggest Mistakes People Make Fertilizing Their Lawn! It can be difficult to estimate the size of your lawn and how much fertilizer to use. Also spreader settings can be inconsistent and differ drastically depending on the make and model. Need a spreader check out our Store for some great options. So, how do you know if you are putting down the right amount? First thing you'll need to do is measure the square footage of the area you want to apply fertilizer on. You can measure square footage by using the Easy Instant Estimate! on our site. After you measure the lawn, refer to the instructions of the fertilizer you want to apply. Measure the amount of fertilizer for the total area you've measured. Then set your spreader on a very low setting. I recommend setting it at about 1/6 - 1/4 of the max. This should allow you to make multiple passes and give you a nice even coat of fertilizer. If you want to save time, you can adjust the spreader for less passes the more comfortable you get with it. There are a lot of improper techniques when it comes to applying fertilizer, one of the most common is the failure to shut off the spreader while making a turn. Keeping the spreader on while making a turn applies too much fertilizer inside the turn and not enough outside the turn. You should get into the habit of turning off your spreader, turning your body, then turning the spreader back on, and continue to fertilize. You should do this every time you come to a turn that is 135 degrees or sharper. This will help your application to be more uniform and even. Another bad technique people have is, not moving at a steady pace and/or not applying at an even rate. Either one of these can make your lawn look like something from a Dr. Seuss book. So keep your stride consistent and if you have a crank spreader try your best to rotate the crank at a consistent speed. One last bad technique I will tell you to watch out for is the tendency not to overlap while applying. You should be spreading your fertilizer back to your footsteps from the previous pass. Spreaders put less fertilizer down the further it is from the spreader. Overlapping creates an even application. If you fail to do this, you will have stripes where you've applied light or no fertilizer. If you haven't gotten it by now, good fertilizing technique is all about applying evenly. So, just keep that in mind and you'll do great! #3 Getting the not just good, but the best fertilizer! 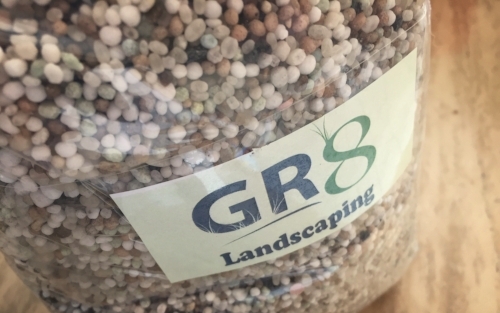 Before applying or purchasing fertilizer, you should understand what you are applying or have a local expert help you to purchase what is right for your situation. Different grass types, soil structure, weather patterns, can all play a role in what kind of fertilizer you should apply, when to apply it, and how much to apply. Using the wrong fertilizer can cause damage over time or create deficiencies in the lawn. There are a lot of people who have just "Okay" lawns in Salt Lake City, that could have amazing lawns if they just made a few adjustments in fertilizer. So, do your research, ask around, a little information can make all the difference. I hope you now feel a little more confident in applying fertilizer to your lawn! Thanks, for taking the time to read this post!